Traditionally made out of little more than butter, flour, and heavy cream - and coming in at a whopping 720 calories - alfredo sauce is definitely a heavy addition to any pasta. 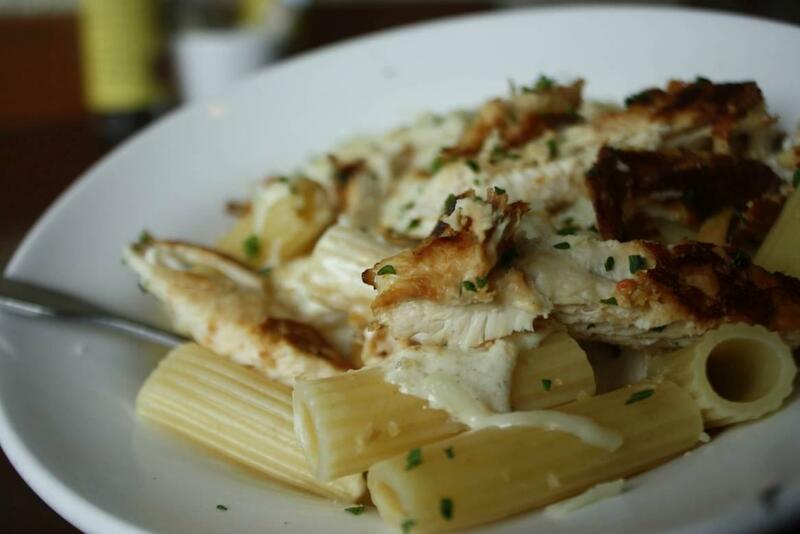 Pairing it with rigatoni and grilled chicken definitely lightens the load and makes for a much more enjoyable eating experience. Compare a forkful of this dish with that of, say, Mario’s Malaise, and you’ll immediately see what I mean.